The Beaujolais Nouveau is Here! Never mind that the wine is very young, overly sweet and fruity, light in color, easy to drink, lacks all complexity and has an extremely short shelf life (don’t buy a case unless you plan to finish it by January!). That’s not what you are really buying it for. For me, it’s the whole cliche that makes it a bit of fun. It’s also the allure that draws you in. A certain mystique. And a certain hangover. On the stroke of midnight on the third Thursday of the month of November, a new vintage is unveiled and only then can you indulge. But a moment before you could not because it’s a forbidden by law. A bit of prohibition if you will-which is always exciting! Once the wait is over and the bell has rung, you can choose your bottles and walk confidently out of the store knowing that you helped perpetuate the tradition of celebrating the year’s harvest. Usually, I buy a few bottles from different producers but always must have at least one created by Georges Duboeuf, the man responsible for the Beaujolais Nouveau marketing genius. This year I also have a Christophe Pacalet and a Laurence et Remi Dufaitre. I am excited for the last one. It’s considered to be a ‘Good’ bottle. Rémi and Laurence are a young couple, who created a winery in Saint-Etienne-des-Oullières on the right bank of the Saone River in 2001 and have become well known in Paris as they produce many natural wines. Their vineyards are mainly in the village of Brouilly. Typically, their wines (and this Nouveau) are lighter, taste of fresh red fruits and are a lighter jewel toned color. I am looking at a few more bottles with a Maison PUR Beaujolais-Nouveau being a top recommendation along with a Joseph Drouhin Beaujolais Villages Nouveau (whose whites I am a fan of). So now through December it is a good time to add a few bottles to your own holiday table or give a few away as gifts. And if you find one you like, let me know. Murphy-Goode winery, known for their “goode” take on food, wine and life, recently launched a new red, blended varietal- Homefront Red. Incorporating Syrah, Merlot, Petite Sirah and Zinfandel grapes, this is a wine that is easy drinking and food friendly. It’s bold and full of flavors- like black cherry and raspberry, vanilla and toast with a nice long finish. It’s the perfect wine to share with friends at your next dinner party or at your game day tailgate. 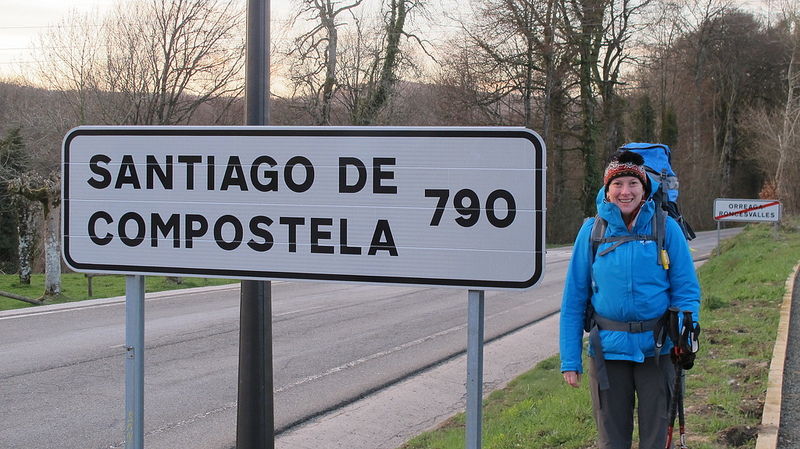 Plus, it’s not just a good wine, it’s for a good cause! Beyond its food-friendly qualities, Homefront Red offers much more – relief for veterans and military families in need. For every bottle sold, a portion of the proceeds from Homefront Red will go to Operation Homefront, a non-profit organization that provides emergency financial assistance to veterans and their families. Murphy-Goode hopes to raise $300,000 from the sales of Homefront Red – every bottle sold truly counts. Since its inception in 2002, Operation Homefront has bestowed more than $170 million dollars of funding to programs that benefit military families. These programs include food assistance, vision care, community events, holiday programs, moving assistance and its Wounded Warrior Wives program. Murphy-Goode’s contribution will help continue this financial assistance to national military families in need. So what would compel Murphy-Goode to undertake this effort? For winemaker Dave Ready Jr. this was a cause that was close to his heart- his dad served in Vietnam and he had two grandfathers in WWII plus a great-grandfather in WWI. Giving back to the military was an easy mission. This wine won’t be available for very long as Murphy-Goode has already shipped its entire supply and is estimating it will be completely gone from store shelves sometime in December. So if you see it, stock up now! You’ll be glad you did. 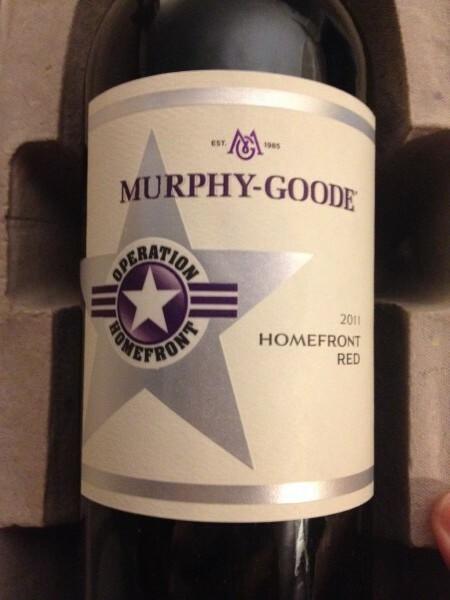 Disclosure: I received a bottle of Murphy Goode Homefront Red to review. As always, the thoughts and opinions are my own. PSA: Please drink responsibly! Don’t drink and drive and never get into a car with someone who does. Buckle up. It saves lives. And by all means, take a taxi if you have had too much to drink! Better yet, stay home and drink there! A special thank you to all the Veterans out there for your service and dedication to our freedoms.